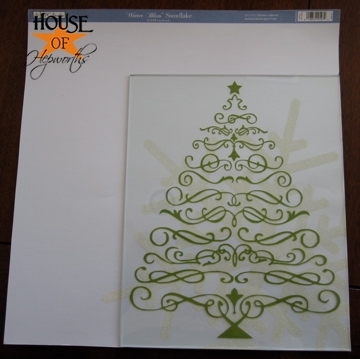 Last week I showed you the adorable Christmas Tree vinyl Shelley sent me and asked for suggestions on how I should use it. After thinking about it for a week, I finally decided that I really did like it framed. I went to my stash and found an empty 8×10 frame. But it wasn’t really that cute or very Christmas-y, so I decided to give it a makeover! 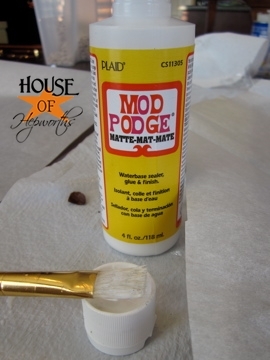 I gave it a good coat of spray paint primer and then finished it off with Krylon silver spray paint. I still wanted a little more oomph though. 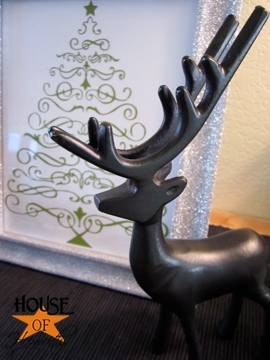 What do you think of when you think of Christmas, the holidays, and decorating? 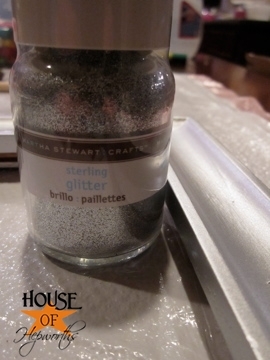 I headed to Michael’s and picked up some of the Martha Stewart glitter that *everyone* in blogland has been talking about. This jar was about $5, but it’s going to last me quite awhile. On a side note, I had a hard time finding the Martha Stewart glitter until I stumbled upon the Martha Stewart ISLE. Yes, she has an entire isle at Michael’s. And I was in heaven. …and painted it on in small sections. 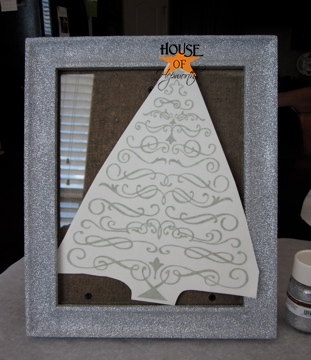 Then I worked around the frame alternating between the glue and glitter. I did the glittering on a cookie sheet lined with parchment paper so that I could collect all the leftover glitter and pour it back into the jar when I was done. After the frame was dry I stuck the vinyl to the glass. 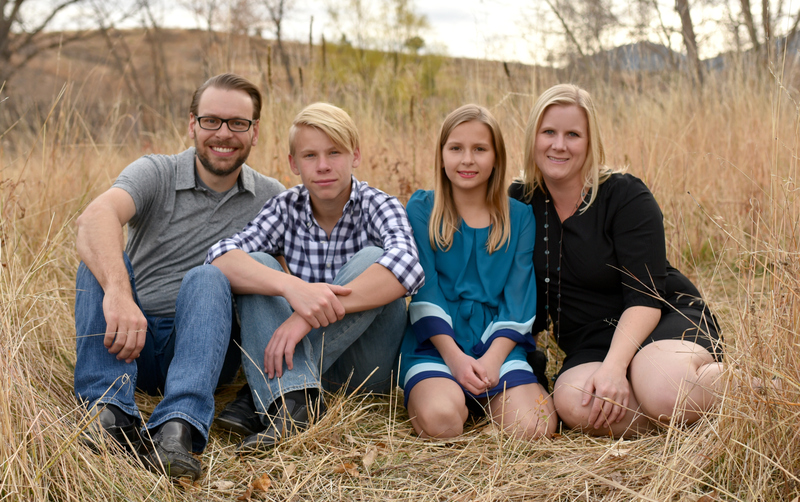 I needed to choose what type of background the frame would have. 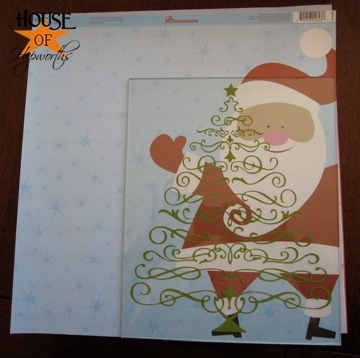 While I was at Michael’s I picked up a few cute Christmas papers that might work behind the tree in the frame. Honestly, I feel like all of them are too distracting, so in the end I chose white paper. I love how it turned out. 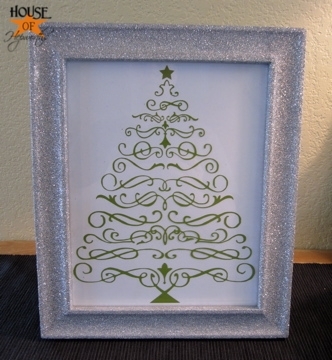 I love, love, LOVE the glitter frame! It constantly sparkles as you stare at it. This glitter really was a great investment. Thanks Shelley from Wonderfully Wordy for the vinyl. I adore it. It turned out beautifully! Love it with the glitter frame. LOVE the sparkle! 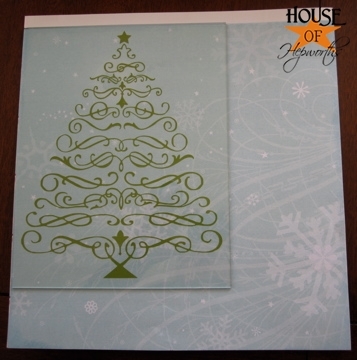 I think the white paper was the right choice — nice and simple and it showcases your cute tree. Great Job! It’s beautiful!! I adore your glitter frame. 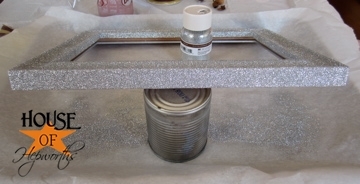 I have a jar of her irridescent glitter and it’s lasted me well over a year now – Martha craft stuff is the bomb!! : ) Merry Christmas to you and yours!! That glitter frame is PERFECT!! I love it! 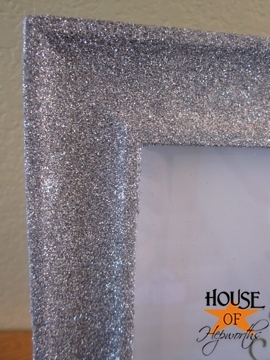 Yup the sparkle frame is just the ticket! I know this is off topic, but where did you get those reindeer?? I NEED them! Love the vinyl and the glitter is awesome!! 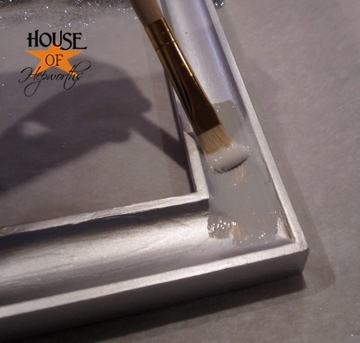 I use German glass glitter…I love love that!! Really sparkles!! 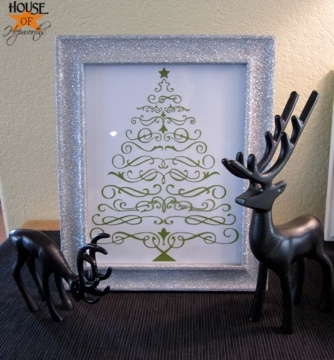 Love the glittered frame! and I love your deer too. This is one of my favorite of your crafts. I love this! 🙂 So pretty with the glitter! 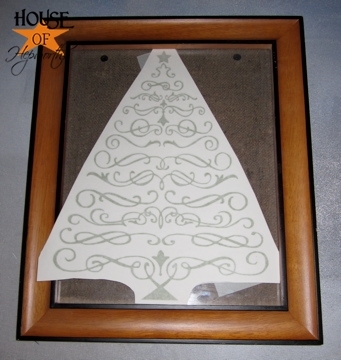 And a good choice… so you can bring out the tree again, next year! I am SERIOUSLY loving the glitter frame!! And I agree that the white background was the best choice. Just fabulous! Very cute! I love Martha Stewart glitter. 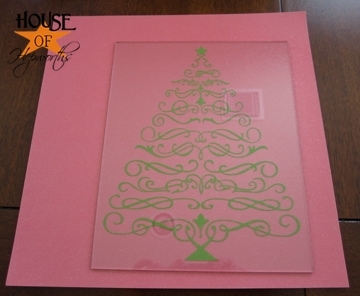 Oh I love that vinyl tree but the glitter frame you made is the PERFECT way to display it. And so funny that you just discovered the Martha aisle at Michaels. I can just imagine your reaction when you did. I totally love her products. 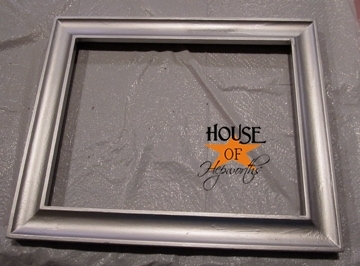 I love the silver frame!!! 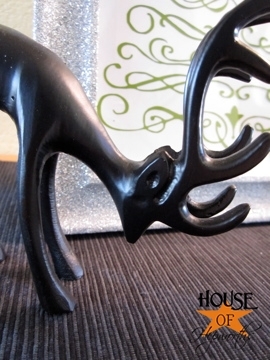 And I love those reindeer! Where did you get them?